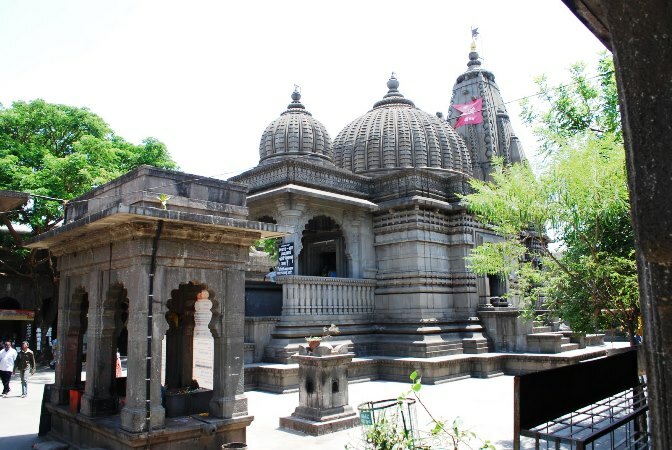 The Kalaram Temple is an old Hindu shrine dedicated to Rama in the Panchavati area of Nashik city in Maharashtra, India. 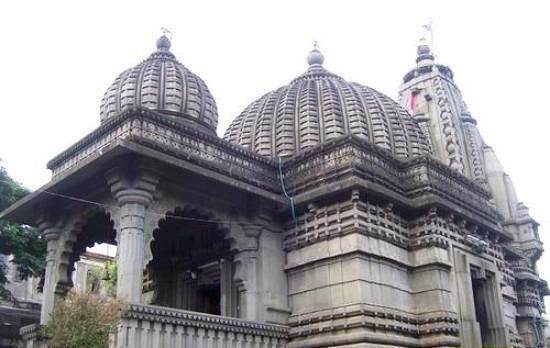 It is probably the most important Hindu shrine in the city. 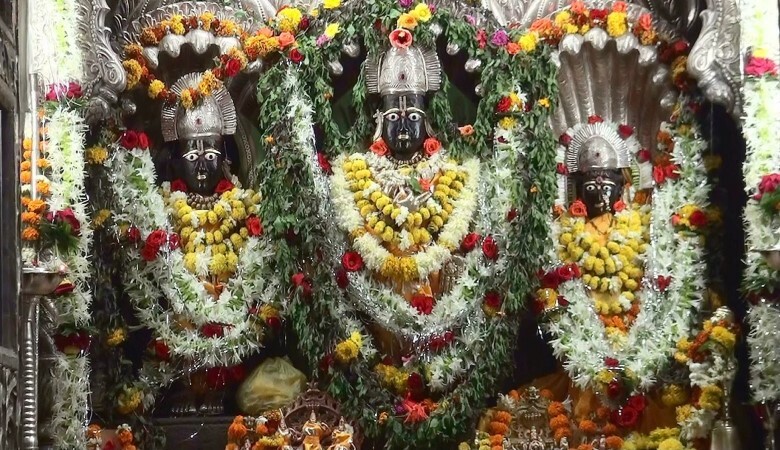 The temple derives its name from the statue of Lord Rama that is black. The literal translation of kalaram means black Rama. The sanctum sanctorum also houses the statues of goddess Sita and god Lakshmana. Thousands of devotees visit it every day. 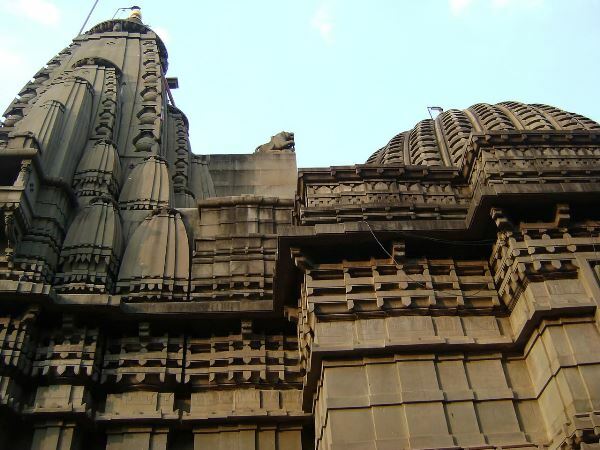 The temple was founded by Sardar Rangarao Odhekar and was built around 1788. It was said that Odhekar had a dream that the statue of Rama in black colour was in the Godavari River. 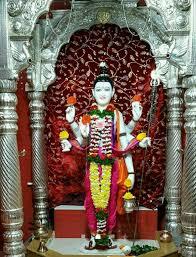 Odhekar took the statue from a river and built the temple. The temple formed a pivotal role in the Dalit movement in India. B. R. Ambedkar led a protest outside the temple on 2 March 1930, in order to allow Dalits into the temple. The main entrance has a Lord Hanuman deity which is black. 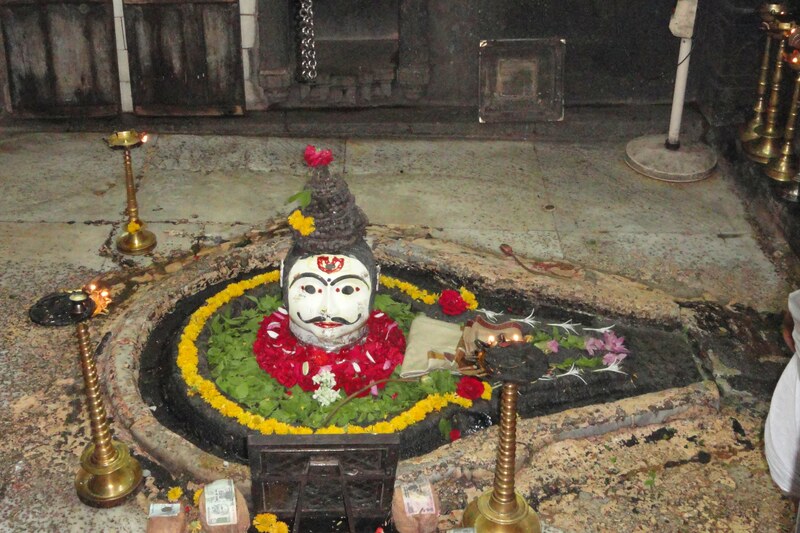 There is also a very old tree that has Lord Dattatreya's footprint impressions marked on a stone. Pilgrims visit the Kapaleshwar Mahadev temple near the Kalaram Temple. By Air: the Nearest airport is Ozar Airport which is located at Ozar, 15 kilometres (9.3 mi) northeast of the city of Nashik, Maharashtra. Currently, there are no scheduled airlines operating at this Airport. By Rail: Nasik Road Railway Station is located at a distance of 9 km from Nashik city centre. Taxis are available at the railway station for travel to different parts of the city and outside. 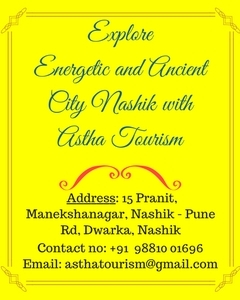 By Road: There are regular buses from other major cities of the country to Nashik. In the Temple, pooja is performed thrice a day.